My graduate work at Columbia was in Shakespeare, a subject I taught happily for forty years. Women’s issues moved to the fore when I began teaching at Scripps, a women’s college, and started working up courses on women. My first book, The Woman’s Part: Feminist Criticism of Shakespeare ​(University of Illinois Press, 1980) an anthology I co-edited with two other women, looked at Shakespeare from a feminist perspective. Renaissance scholarship was a male bastion; we were not welcomed. It was hard to find two senior scholars who’d agree to be readers for that book. Our writings were among the first to approach this canonical author from a feminist perspective. The courses I taught on women in literature and women’s literature began shifting my interests away from Shakespeare. 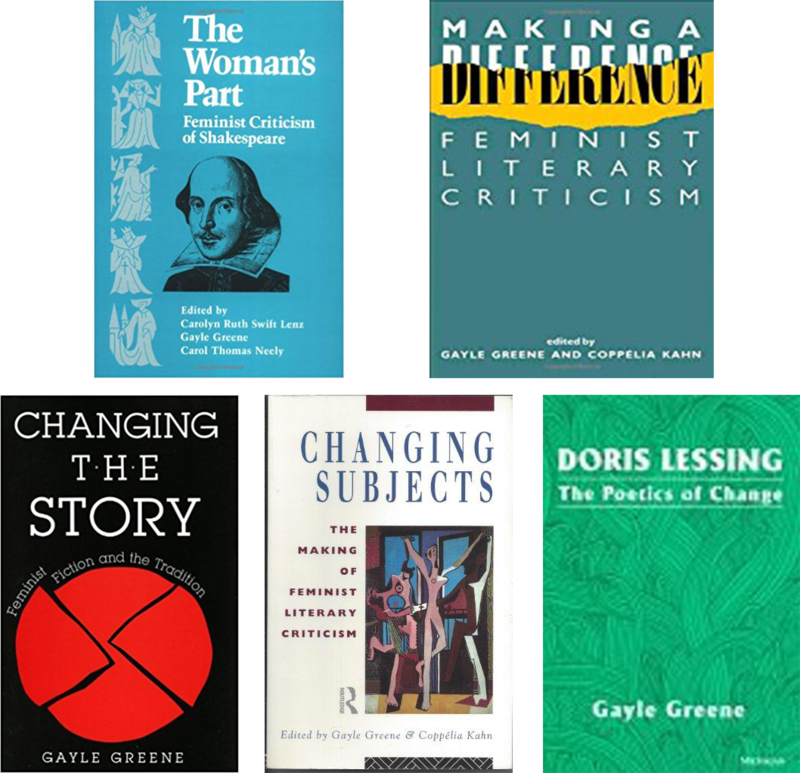 I found myself writing on women writers and developing an interest in feminist theory, and these interests issued into the next few books: Making a Difference, an anthology I edited with Coppelia Kahn (Methuen, 1985, reissued Routledge, 2002) and Changing Subjects: The Making of Feminist Criticism, also co-edited with Coppelia (Routledge, 1993, reissued 2012), , a collection of essays by second wave feminists describing how they became feminist scholars. These anthologies have helped shape second-wave feminist literary criticism and theory. It was exciting, being part of early feminist scholarship; it was genuinely collaborative; we felt giddy with the possibility of change. Little did we know. In Changing the Story: Feminist Fiction and the Tradition (Indiana University Press, 1991), I looked at how major contemporary women writers such as Doris Lessing, Margaret Atwood, Margaret Drabble, reworked the novelistic conventions they inherited to allow new possibilities for women, particularly the ending, which in older novels had confined women to marriage or death. I argued that novels like The Golden Notebook helped make the women’s movement: growing out of social change, feminist fiction in turn fueled social change, becoming a major agent of consciousness raising. My next book was a single-author study of Doris Lessing, The Poetics of Change (University of Michigan Press, 1994). After that, I wrote no more literary criticism, turning instead to health and the environment. Of the dozens of articles I published in scholarly journals such as Signs, Contemporary Literature, Renaissance Drama, Studies in English Literature, many have been reprinted in anthologies and collections (such as Blackwell’s Shakespeare: An Anthology of Criticism and Theory, 1945-2000, ed. Ross McDonald, 2004). ​Here's a lecture where I talk about these changes. Someone dug this old article of mine out of the archives; it turns out to be painfully relevant today. Teaching at Scripps College has been one of the great pleasures of my life. In Changing Subjects, I wrote a piece called “Leaving Shakespeare,” about why I was leaving that field behind. Now I find myself once again, in my current project, defending the liberal arts, writing about Shakespeare. You really never know.